With winter right around the corner, Indianapolis homeowners will soon find themselves dealing with that yearly question we all wrestle with: When should you turn on your furnace? We tend to wait as long as we can, enjoying that much lower energy bill and those crisp nights. Wondering what a professional HVAC specialist would tell you? 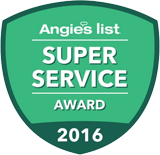 At Service Plus Heating, Cooling & Plumbing, we want to be more than just your standard service provider. Our experts want to be your go-to for all that is HVAC! Looking for dependable heating system maintenance for your Indianapolis home? Contact Service Plus today! Is There a “Best” Time To Turn On Your Furnace? Preparing your furnace for the season – We’ve discussed this point a good bit, but getting your system ready for winter is the most critical aspect of ensuring you have access to the heating you’ll need to fend off our Indiana winters. For a detailed how-to for homeowner furnace DIY prep, check out our blog post on “Back to School HVAC Tips”! Doing a test run – Go ahead and turn your furnace on, letting it go about its business for a couple hours at least. This step allows your system to “wake up” and shake off the dust and is a great way to ensure your system is in good working condition before you need it. No one wants to find out they have furnace problems on day one of a big freeze! Getting a professional touch – Got your filters swapped, and your furnace cleaned out? Good! The next step is to ensure you pursue a furnace tune-up from your trusted HVAC professionals (that’s us!). Making sure you get the furnace service your system needs is the best way to get the most comfort and the least cost you can during the winter. Turning your furnace on at the optimal time – Once you decide to turn your furnace on, do it before the cold actually sets in. Keep an eye on the weather, and when a temperature you don’t want to deal with comes up on the forecast, go ahead and turn the furnace on. Start at a fairly low temperature, and gradually work your way up to a comfortable temp. Each single degree you turn your system up represents up to a 15% increase in energy use, so you want to keep at as low as you can be comfortable with! Looking for trustworthy, dependable HVAC professionals that guarantee superior service and quality for your furnace maintenance and care? Then look no further; you found us! Contact Service Plus today to learn more about our furnace services, or to set a date for your consultation!